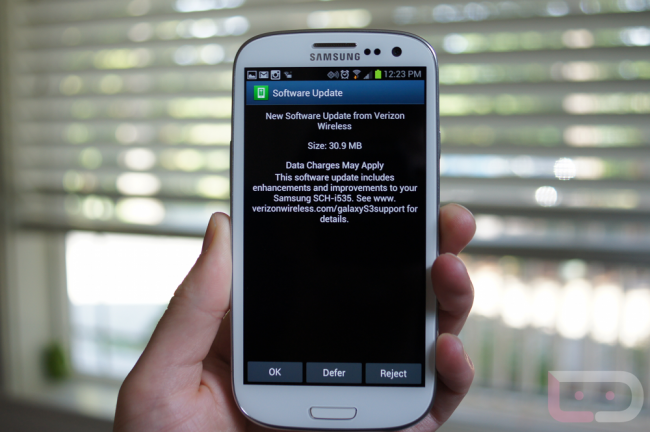 The VRALG7 update for the Samsung Galaxy S3 on Verizon that we first reported on Thursday, is available now to all handsets. To pull the update, all you have to do is head into Settings>About device>Software update and tap the “Check New” button. The update fixes the “No SIM” issue that many of you were experiencing, improves Backup Assistant, makes NFC functionality more reliable, and includes Verizon’s Remote Diagnostics Tool. Oh, we are also noticing that on-device search has now been broken, thanks to the never-ending patent battle between Samsung and Apple. If you try to search on your device for a contact or app, you are only greeted with internet results. Yeah, that’s a bit unfortunate. Cheers Craig, Stephen and J Cole!